I love staying here. 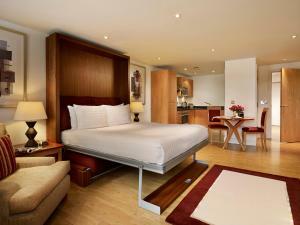 Beautiful and comfortable rooms. Truly a home away from home.! The studio apartment is well equipped. The size is good enough for 2 people and it's 4 minute-walk to Limehouse station. Comfortable, clean and well equipped. Tea and coffee supplies were a bonus. Minor problems were sorted very rapidly. Clean, Tidy, Great location and also well maintained. Staff apart from the issue of a 10 day deposit return were actually really friendly and knowledgeable. We booked a 2 bed apartment and must say it really Is quite big. 2 big bedrooms, one with an en-suite plus a balcony so was really good value. The property was spotless you clean. Apartment was excellent, we parked on the street, lady on reception was really efficient and helpful. The coffee was superb. 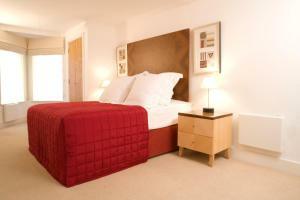 Large comfortable clean quiet room with excellent facilities. Good quality coffee and tea on hand. Local late shops nearby and great facilities for cooking. Great real ale bar just down the road. Lock in a great price for Marlin Apartments Limehouse – rated 8.2 by recent guests! 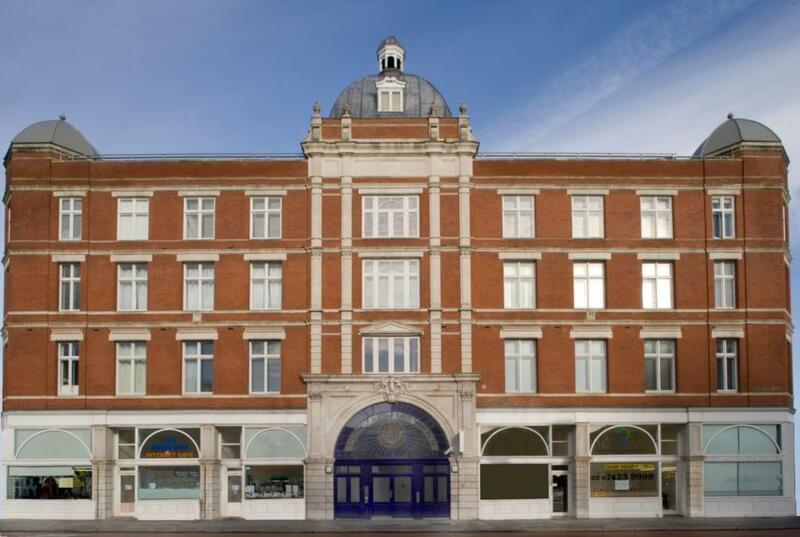 Marlin Apartments Limehouse This rating is a reflection of how the property compares to the industry standard when it comes to price, facilities and services available. It's based on a self-evaluation by the property. Use this rating to help choose your stay! Close to Limehouse Rail and DLR stations, these modern East London apartments are ideal for ExCel, London City Airport and The City. Each apartment has free broadband, L'Occitane toiletries toiletries and Sky Freeview cable. Many have good views from their large windows. 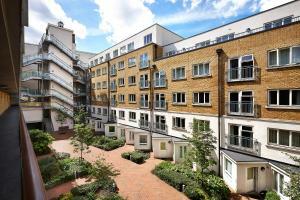 Marlin Apartments Limehouse apartments are a short walk from the restaurants, pubs and bars at Docklands. Guests can enjoy free Wi-Fi in each apartment with the opportunity to upgrade to super-fast 100Mb broadband. Marlin apartments have a full kitchen, a living room and a separate bathroom. There are high-quality beds and a weekly change of linens. 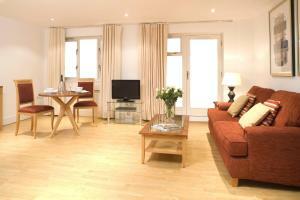 When would you like to stay at Marlin Apartments Limehouse? 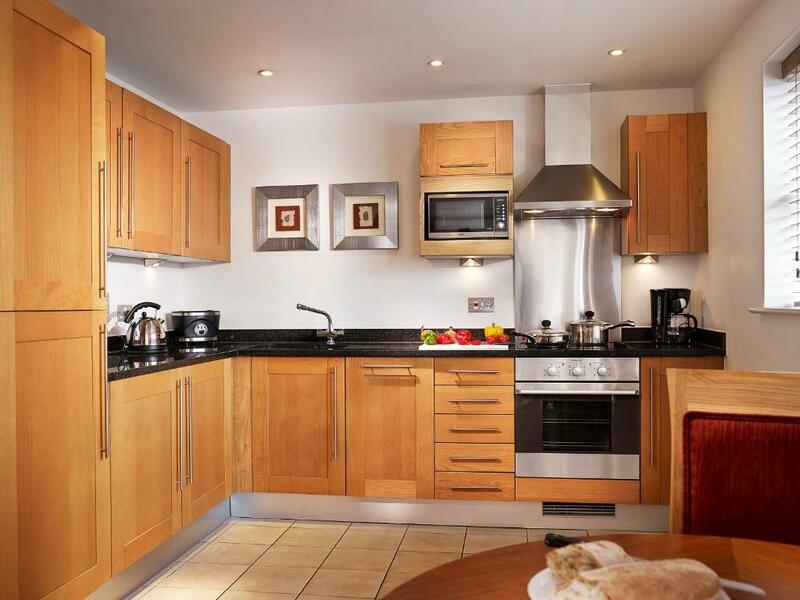 Spacious studio apartment with free Wi-Fi, an open-plan living and sleeping area, a full kitchen and a designer bathroom with a shower and L' Occitane toiletries. Full kitchen, spacious living area and bedroom with private bathroom. Free toiletries and Wi-Fi. A twin bed configuration is available upon request for an extra GBP 30. Full kitchen, spacious living area, 2 bedrooms (one private bathroom). Free toiletries and Wi-Fi. Marlin Apartments Limehouse is a unique property set within a Grade II listed converted church. 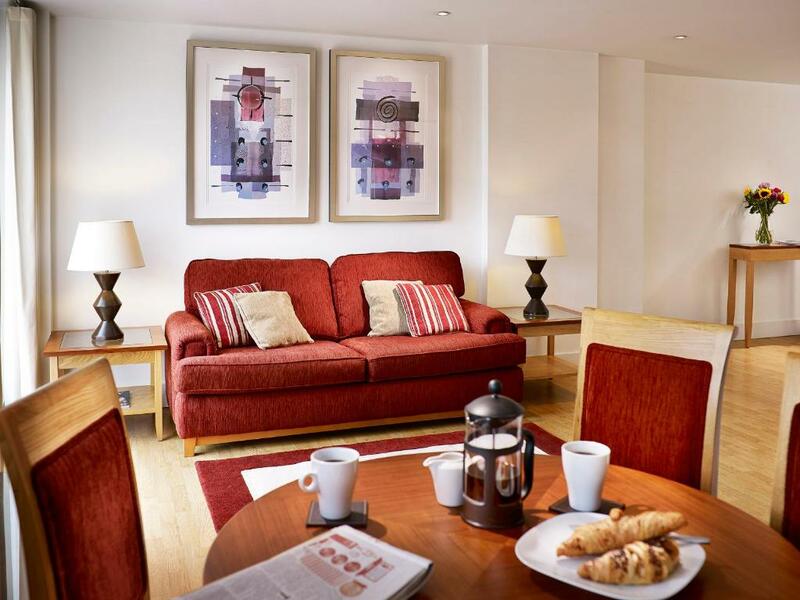 There is a lovely internal courtyard surrounded by 4* quality serviced apartments, and a 24-hour concierge attends to guests and any requirements they may have. Our concierge is fully committed to making your stay in London the best it can be. In need of a restaurant recommendation? We can help. Need assistance with buying theatre tickets during your stay? Our team is on hand 24-hours a day! Limehouse is situated in the heart of the Docklands within easy reach of ExCeL London, The O2 Arena, Canary Wharf and just one minute away from Troxy for music concerts and events. There is a Sainsbury's supermarket opposite Marlin Limehouse, and a whole host of amenities within close proximity. House Rules Marlin Apartments Limehouse takes special requests – add in the next step! All children under 2 years are charged GBP 15 per person per night in a crib. All older children or adults are charged GBP 48 per person per night for extra beds. Marlin Apartments Limehouse accepts these cards and reserves the right to temporarily hold an amount prior to arrival. Please note the apartments reserves the right to pre-authorize credit cards on arrival at least GBP 200 during weekdays, and GBP 500 at the weekend. Marlin can only accept chip-and-PIN cards for these pre-authorizations. This pre authorization should be released automatically by your bank within 5-10 working days of Checking Out, subject to an inspection of the property. This will vary depending on the Bank and Country of Issue. Furthermore, as per our T&Cs, Marlin Apartments will ask you to provide photographic ID (passport, driving license) and the card used to make the booking upon check-in. If you are not able to provide this, you may be re-charged on a card you do have present upon check-in, and the original payment will be refunded. Please note that Marlin operates a strict no party, no gathering policy. The main guest must be at least 18 years old. All guests under the age of 18 must be accompanied by an adult. Failure to check-in by 09:00 on the following day after check-in day, without prior notification that you intend to arrive at a later date, may result in your reservation being canceled. Please note that images are for illustrative purposes and the actual apartment may differ slightly. The fact I got told that my £150 deposit was going to be paid back to me the next day and it was all a lie as the receptionist in the morning told me I had to wait up to 10 days. Disgraceful! Ruined an otherwise great place. Television didnt work, had to call reception. He didnt have a clue and had to call maintenance. He didnt have a clue and just switched it on and off and hoped for the best. Also communication was poor when checking in. There was definetely a language barrier with the guy with the glasses who also attended to my room for the TV issue. The shower is over a bath with a very high side (50cms ? )and a drop from the bath to the floor. Without any non-slip mats in the bath or wall handles this constitutes a danger, especially to older people. You will need to hold on to the sides of the bath to safely navigate an exit ! Tea/Coffee/Soap/Towels are not renewed/changed daily (even though they would be for new guests of course). The curtains don't cover the top or sides of the windows and permit a fair amount of light to leak in. Note that since the lights are on all night (as they should be) on all of the 'open to the elements' corridors on the 4 or 5 floors opposite then it is bright outside even in the middle of the night - and that light comes into the room so it's never truly dark. I had to stack spare pillows against the curtain to keep it flat against the wall and prevent light leakage onto my face on that side. Overall : 4 stars (would definitely stay here again) Room 8/10 : Spacious (for London) apartment with pretty much everything you would likely need (tea/coffee, iron & ironing board, Sat TV etc.. Location 9/10 : just a 5 mins walk to the DLR or Limehouse Marina, so a quick commute to Canary Wharf or Bank Sta.. Staff 7/10 overall : We had one lovely guy (daytime) and a girl (evenings) on reception so 9/10 for them. The female supervisor was unsmiling and actually ignored eye-contact and didn't greet us on the 3 occasions we saw her at reception. Cleanliness 8/10 : could not be faulted in kitchen, bathroom or bedroom. Wifi 7/10 : Worked OK. Generally of a decent speed and stability. Sleep Quality: 7/10 We couldn't/didn't hear the neighbours and the bed was comfortable with a not too firm, not too soft, mattress. However the curtains don't cover the top or sides of the windows and permit a fair amount of light to leak in. Note that since the lights are on all night (as they should be) on all of the 'open to the elements' corridors on the 4 or 5 floors opposite then it is bright outside even in the middle of the night - and that light comes into the room so it's never truly dark. I had to stack spare pillows against the curtain to keep it flat against the wall and prevent light leakage onto my face on that side. Breakfast : DIY Check in / Check out : Efficient. Do note that you can store your bags there prior to Check-In however there is a hefty charge for actual early check-ins (even just 2-3 hours early) and even more for late check-outs. I wish it were a touch closer to Centre town but public transport is excellent so not really a problem. No tea towel, and double bed was two singles pushed together, on very mobile castors! View from room was of a staircase! We did not have enough towels or pillows for the six of us. When I enquired they said that they were over capaity and there was none left. Couldn't work out how to control the heating. Felt a little insulted by them taking an extra £200 authorisation in case of damage. Shouldn't be necessary to take a photocopy of my passport as a UK national. There was no tea towels, dish washing facilities i.e. liquid, dishwasher tablets available. Door in bath room broken. Unable to close from the inside. They attempted to fix it. I explained their attempt would never work and it didn't. Poor maintenance. Whole stay unable to close bathroom door. Requested a sheet and doona for sofa bed. On checking it was a doona cover and a very disgustingly stained mattress protector. Took two days with 3 TV exchanges & 2 remotes to get that right. Superb stay, an oasis of relaxation after a somewhat complicated/messy trip on the Eurostar with a sick child.... Delighted to find the washer/dryer!